SAP R3 | Fasttrack Solutions Inc. 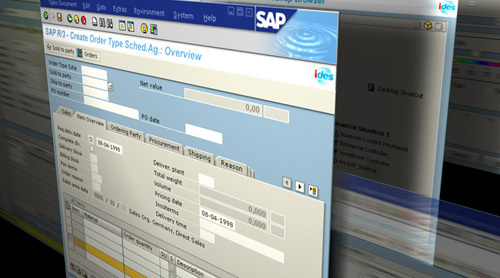 It was in July 1992 when Germany-based software giant SAP AG launched the first version of SAP R/3. SAP R3 was not the first of its kind. It was preceded by a financial accounting system by SAP named R1, called NTR. And then, by the end of the 1970s, SAP R2 was introduced. It was a mainframe-based business application suit which remained successful until the late 1980s and the early 1990s. SAP R2 was particularly popular with multinational European corporations who needed soft-real-time applications involving multiple currencies and businesses. Client server computing was a trend that brought forth the next version, SAP R3. The SAP R3 system is what SAP used to call its enterprise resource planning software. SAP R3 was designed to coordinate and integrate the resources, information, and all other activities needed to complete business processes such as order fulfillment or billing. The SAP R/3 system was, true to its name, an enterprise-wide system. The SAP R3 system was established with the advent of distributed client-server computing. SAP R/3 is compatible with multiple platforms and operating systems. Thus, it could be used by even more businesses even as they run on different platforms. This specific feature was introduced precisely to enable SAP R3 to reach out to more customers across various industries. A SAP R3 system had several distinct functional modules. Among the most widely used are Financials and Controlling, Human Resources, Materials Management, Sales and Distribution and Production Planning. Each of these modules handle particular business tasks and are linked to other modules where it is applicable. The SAP R3 system adopted best practices for its processes and follows generally acceptable standards. The strategy then shifted to expansion into specific industries so that the processes are better tailored to the unique and specific characteristics of that particular industry — for example, retail or utilities. 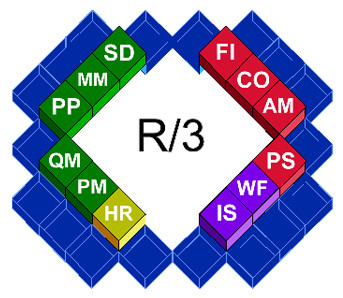 The R stands for “real time data processing” and 3 stands for “three-tier”. The three layers were presentation layer, application layer and database layer. The combination of both breadth and depth of coverage as well as usability in numerous platforms made SAP R3 very popular in the ERP software market. Because SAP R3 covered all business processes, it became very popular not only for companies themselves and the decision makers in them but also consultants who wanted to break down business operations to the finest detail in an attempt to analyze them. indeed, SAP R3 system made possible a level fo integration not seen or experienced before. Later, SAP R/3 was called SAP ERP and then SAP ECC, or ERP Central Component. These new developments take into consideration cloud computing innovations coupled with all the previous benefits realized from SAP R3. The provision of solutions for businesses of whatever industry and size is a constant work in progress. SAP Philippines remains in the forefront of finding software solutions enabling businesses to thrive in the dynamic technological environment where we all live. For a better understanding of SAP R/3 we could set a meeting for you to see its core features. A demo will let you see SAP R3 in action - so you could assess its critical features and the system's ease of use. Fasttrack Solutions Inc. is a provider of SAP R/3 in the Philippines.